If you believe you have been treated unfairly or have been the victim of discrimination, harassment or had your rights violated — the civil rights attorneys at Elder Brinkman Law can help. Numerous civil rights laws in Michigan and the United States prohibit discrimination based on age, disability, gender, race, national origin and religion. These laws cover individuals in the workplace, public accommodations, schools, housing and voting. In Michigan, a victim of civil rights violations can eventually be involved in both a state and federal lawsuit. If you believe you are the victim of civil rights violations, contact the Michigan Department of Civil Rights or the EEOC as soon as possible. There are specific administrative filing deadlines in civil rights claims. Then contact one of our civil rights attorneys to get started on your claim. Civil rights litigation is a very complicated area of law, requiring specific knowledge of complex regulations. Our experienced trial lawyers and litigators can defend many types of claims, including excessive force, cruel and unusual punishment, unconstitutional policies and procedures and failure to train. This area of law requires not only deep knowledge and understanding of the duties of law enforcement and the legal system, but a sense of fairness and confidentiality as well. 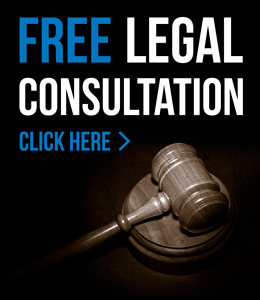 For more information about the civil rights attorneys at Elder Brinkman Law or to schedule a free initial consultation regarding a civil rights violation, contact our office today or call us directly at 313.582.5800.